I have been working on some new sites and designing them with the 960 Grid System, and I am officially in love. 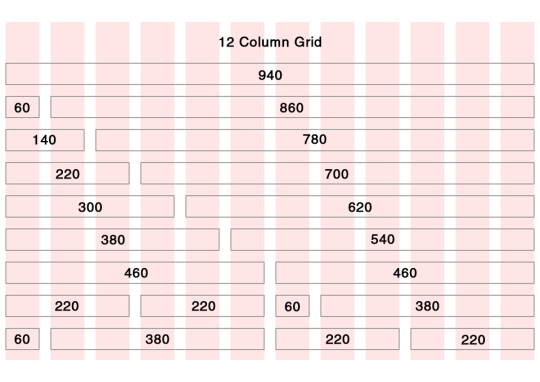 It drastically reduces the effort required to layout a page, and also reduces the amount of maths that you have to do in your head. 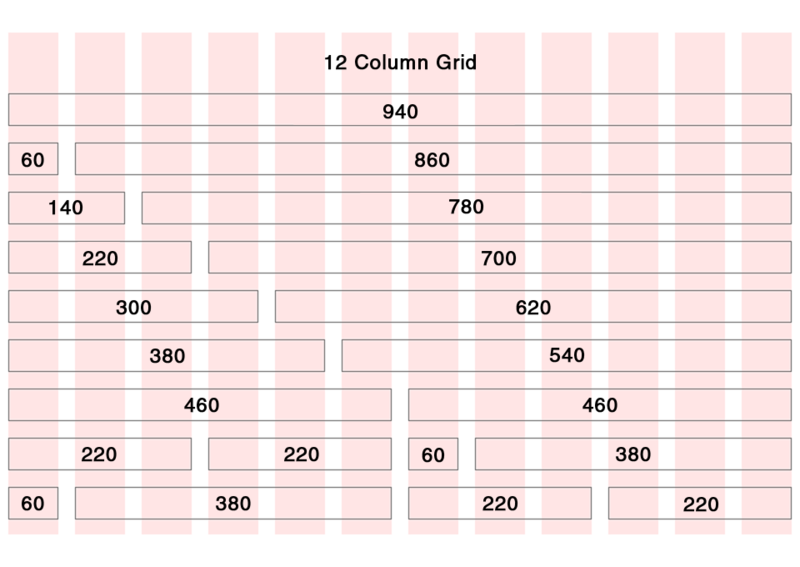 To completely eliminate the maths, I have created an image that shows the grid sizes for the 12 column grid. Click the image below for a 960px wide version. If, like me, you want to print this out and put it on the wall, I have created an A4 PDF that will have nicer fonts when scaled to print size. The boxes and pink lines are slightly blurry, so if you are a fancy graphics person please feel free to fix it and I will upload your better version here.